THOUGH he’s won a Perrier award and boasts a TV CV that includes Peep Show, Inside No. 9 and Mid Morning Matters (with Alan Partridge), Tim Key still feels like one of comedy’s best-kept secrets. That’s because his screen characters tend to be offbeat, unknowable or spectacularly sidelined. 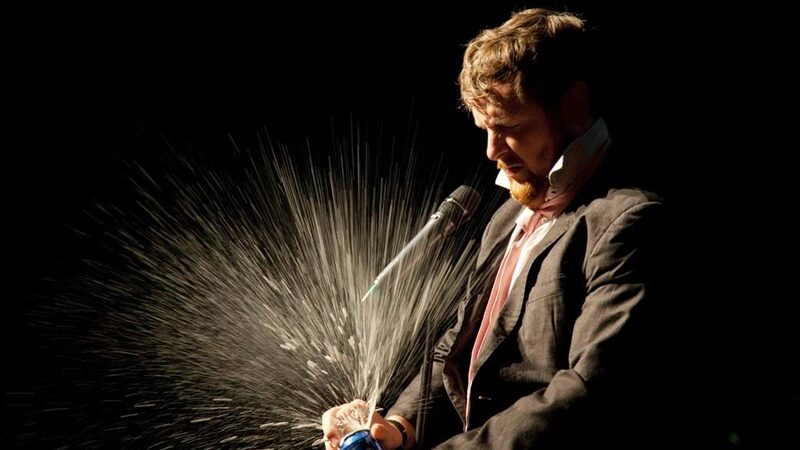 On stage, too, with his mix of daft poetry, absurd storytelling and a nudging, winking persona that delights in flirting with his audience then pulling the rug from under them, he’s just as tantalising. Megadate continues in that vein with a story about a whirlwind date and desperate morning after, where he must retrace his steps to find his credit card and wait for that all-important follow-up text. Which means we get a plethora of London-based dating mediocrity — bowling, Tussauds, eating cheese and biscuits up the Shard — through the prism of giddy love and the depths of despair. Is it all a metaphor for mid-life crisis? Given that he starts this set pouring beer over himself and underpins it with a wistful desire to be noticed and loved, that would be a yes. Megadate may not wind up with Key on top of a fridge, or submerged in a bath, as has been the case with his other unforgettable live shows, but this still feels like a sublime piece of performance art. That’s because it’s packed full of wonderful weirdness and exquisite phrasing. His ingenious wordplay and crafting will make you fall in love with your thesaurus all over again. It’s all utterly compelling and delightfully unsettling stuff, with the impish, mischievous Key as cult and as enigmatic as ever, and as teasing as a flame is to a moth. If this is love, Key’s hard to resist.